● Custer started sixth, finished 11th. ● Custer moved from sixth to fourth in the opening two laps. ● He began fading through the field as the stage progressed. ● Custer told the crew during the break his car was tight in some parts of the track and “wrecking loose” in others. ● Custer made a four-tire pit stop for adjustments during the stage break. ● The pit crew gained Custer four spots on the pit stop. ● Custer started seventh, finished seventh to earn four bonus points. ● Custer told the crew that he grazed the wall “pretty good” on lap 58, but the impact made no damage. ● He restarted sixth with 20 laps remaining in the stage, but dropped to seventh. ● Custer pitted after the stage break and returned to the track in ninth. ● Custer started ninth, finished second. ● Custer climbed to seventh in the final stage before leaders Ross Chastain and Kevin Harvick wrecked with 37 laps remaining. ● During the caution, Custer pitted from fifth and great pit work returned the No. 00 to the track in second. ● Custer spent the remainder of the race on Brad Keslowski’s bumper, but could not make the pass. ● He finished less than a second behind winner Keselowski. 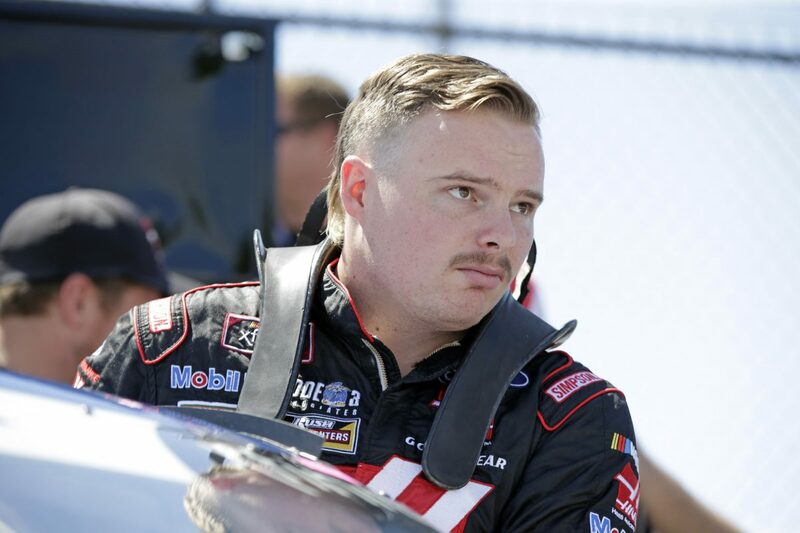 ● This was Cole Custer’s second, second-place finish in his 62-race Xfinity Series career. ● Custer’s only better career finish was his victory at Homestead-Miami Speedway on Nov. 18, 2017. ● Custer scored his 10th top-five of the season and his first at Darlington. ● Custer scored his 20th top-10 of the season and his second at Darlington. ● Six cautions slowed the race for 30 laps. ● Brad Keselowski won the Sport Clips Haircuts VFW 200 to score his 39th career Xfinity Series victory, third of the season and first at Darlington. ● As part of Darlington’s fourth annual NASCAR “Throwback Weekend.” Custer’s No. 00 Haas Automation paint scheme honored A.J. Foyt and his iconic No. 00 1965 Ford Galaxie that he ran at Riverside (Calif.) International Raceway.